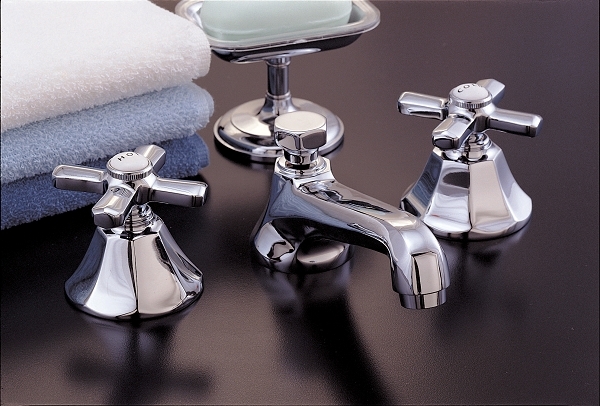 Mississippi Lavatory Faucet Set with cross-point porcelain buttoned handles. Quarter-turn ceramic valves. Quarter-turn ceramic valve cartridges use 2 ceramic disks that rotate to open and close the valves, minimizing mechanical wear. 12 inch long flex lines for varying centers 8 - 12 inches. Minimum deck hole size needed is 1 1/4 inches.